The Flexible Option for Flexible Living! 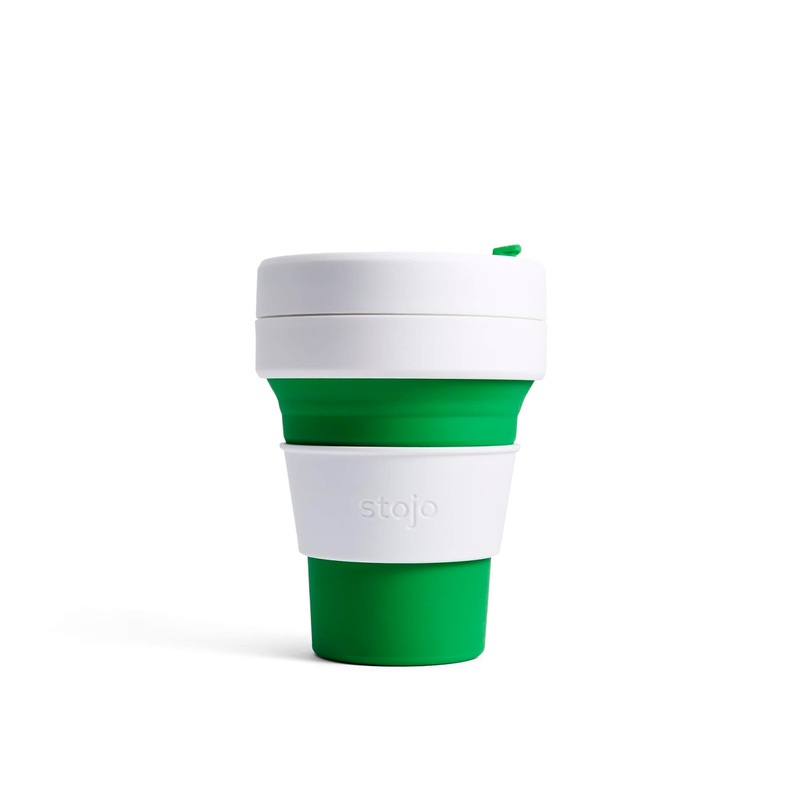 Stojo is the world's first ultra-portable, leak-proof reusable cup, designed to pop into your bag or pocket, and perfect for those who are active, and always on the go. The cup complements static reusable cups often kept in the car or in the office, enabling users to easily expand their commitment to personal waste reduction. Designed by three New York-based friends to cater for the often hectic, frenetic and cramped subway lifestyle, Stojo is very light and durable, and is made from recyclable materials such as food grade silicone that exclude phthalates, glues and BPA. “It's really amazing to see the progress Ireland has made, the so-called 'latte levy' will make a big difference to reducing the amount of disposable cups going to landfill each year. We're on a mission to end disposable culture. Big change comes through small, purposeful, incremental steps. Stojo embodies this belief, and we feel the appetite for progress and change is really evident in Ireland right now, so we are delighted to launch in the market to coincide with Reuse Month, we really support what the CRNI (Community Reuse Network Ireland) are doing, and encourage people to live more sustainably, and become more conscious of their individual decisions and how they impact our planet collectively." Recyling List Ireland (July 2018) reported that 22,000 coffee cups are disposed of in Ireland every hour, which works out at 528,000 every day, or 200 million every year. Single use coffee cups are not included in Recycling List Ireland, and cannot be put in the recycling bin. While many recycling cups carry the recyclable logo, the actual cup is not recyclable in Ireland, and must be disposed of in general waste. The logo refers only to the rigid plastic lids, and the cardboard sleeves on some cups which can be removed and placed for recycling. Community Reuse Network Ireland (crni.ie) is the all-Ireland representative body for community based reuse, recycling and waste prevention organisations. Full event listings for the remainder of Reuse Month are available here. 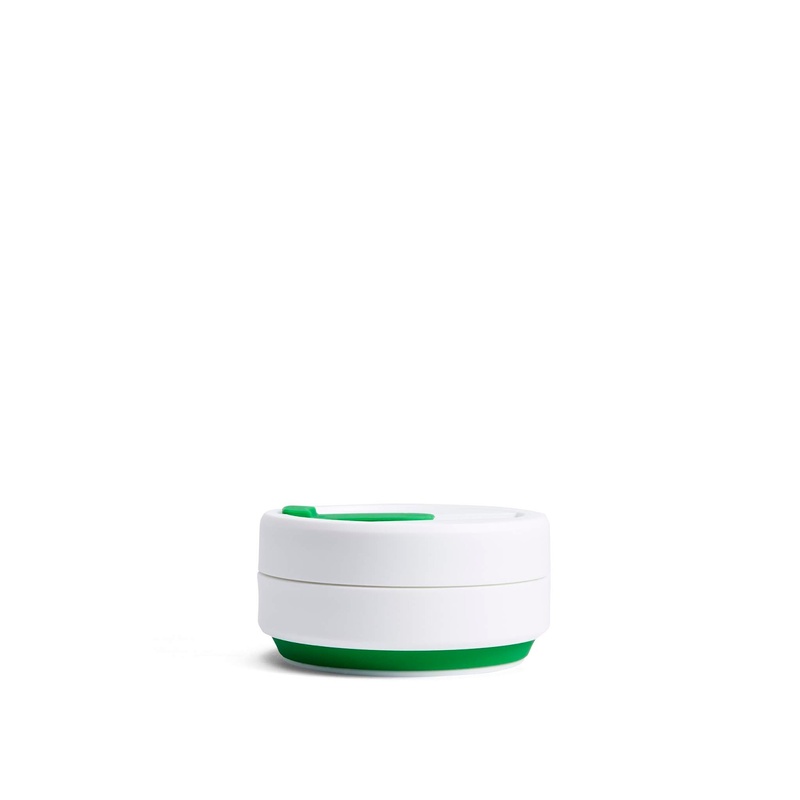 The Stojo comes in two sizes, the 'Pocket Cup' (12oz, RRP €12.95) and the 'Biggie' (16oz, RRP €16.95), and are available from independent cafes and specialist stores nationwide as well Brown Thomas, Arnotts and Avoca.